Mummy and me yoga has been a fun way for my daughter and I to bond. We began a mummy and me yoga routine at home when she was about 8-weeks-old and we still practice yoga together now that she’s a toddler. There are plenty of ways to have your baby meet you on the mat, and your joint practice will shift and develop as your baby grows. I like to try different poses and play music to keep my daughter engaged and entertained. 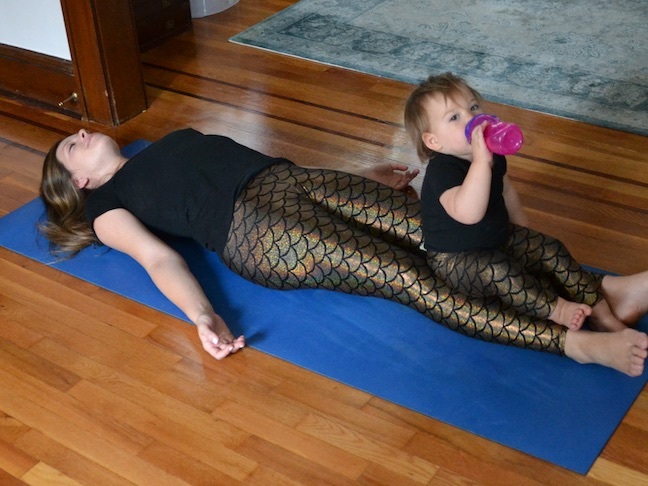 Here are some of my favorite mummy and me yoga poses. We call them by our own fun little names — matching yoga pants totally optional. After having a baby, your body won’t be up for much at first. So, “easy pose” (or Sukhasana) is a great way to warm up your practice and focus on two of the most important things: posture and breathing. 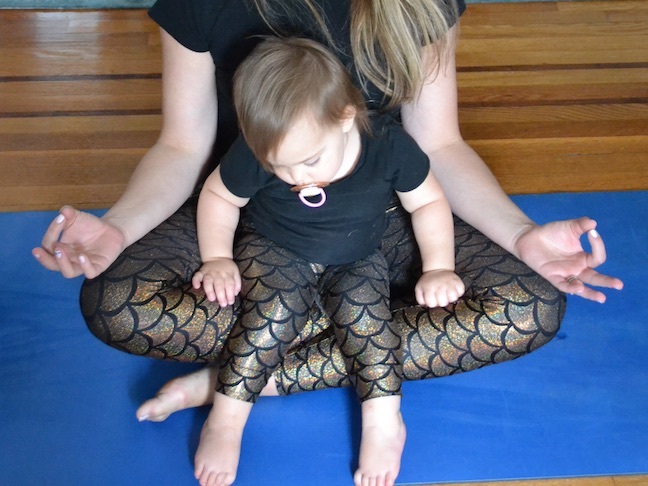 Our babies spend so much time in our laps anyway, this is a perfect way to ease them into mummy and baby yoga. 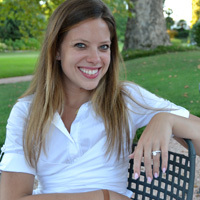 Sit cross-legged with your baby in your lap and focus on taking slow, targeted inhalations and long, draining exhalations. If you can get away with it, try closing your eyes as you do this. Welcome back to the mat. When I was pregnant, “legs up the wall pose,” a very basic version of Viparita Karani, was my favourite. It’s basically exactly what it sounds like. Lie down and put your legs up the wall. I found it helped me feel calmer and reduced swelling in my legs, ankles, and feet. Now, I do this pose side-by-side with my tot, or set her up so she’s doing it against my legs. This leads to plenty of giggles for her, and I get a forward fold out of it, which is a tension-relieving stretch that always makes me feel great at the beginning or end of practice. Tree pose is one of my favourite balance poses for mummy and baby yoga. You can start with your foot resting just above the opposite ankle and in time it’ll climb farther up. Just make sure to always avoid resting the foot against your knee joint. I bring my daughter right up on my hip for this one, which is fun for her and enhances my balance challenge. When she gets a little older, I’ll help her find her own little tree pose. An awesome workout for Mum and a ridiculously good time for baby, I love doing goddess squats with my little. You can either wear your baby in a wrap or just hold him in your arms. Set up a wide stance with your feet pointed out and slowly, with control, squat down, keeping your back straight. You can do this in succession or hold at the bottom for more of a burn. Ideally, your thighs will be parallel with the floor, but it takes time to gain flexibility back, so focus more on keeping an upright spine and engaging your core. I like to add a balance challenge by popping up on my toes at the bottom of my squat. 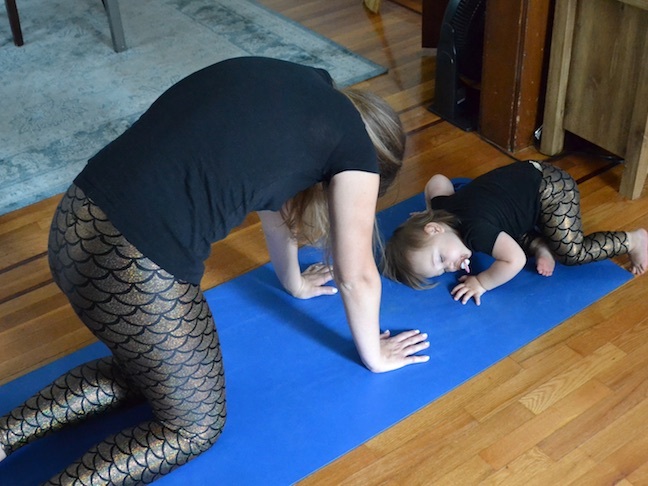 Any variation of a warrior pose can be adapted for mummy and baby yoga. My personal preference is Warrior II, especially for new mums, because you’re more grounded here than in other variations. Your back foot should be turned out and parallel to the end of your mat, while the front foot points forward. 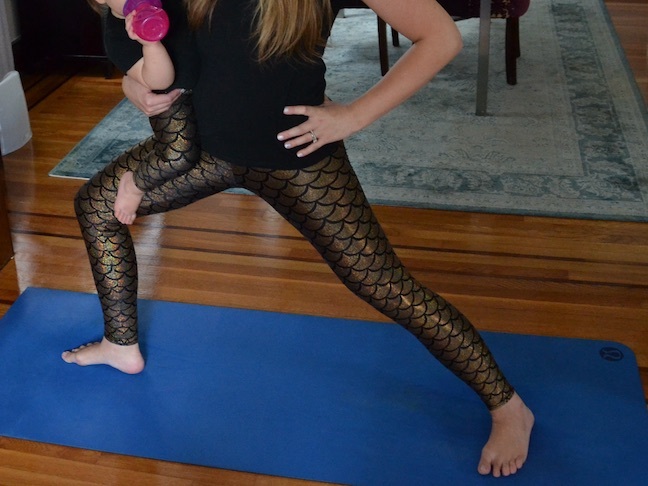 Bend your front knee and seat baby in the hip area while you hold the pose. Quick check: Glance down at your front foot and make sure you can see your big toe on the inside of your knee. If not, turn your knee outward more to achieve proper alignment and relieve stress on the joints. Once you’re in it, you’ll know why this is a workout! I’ll say it: Final resting pose has always been my favourite part of practice. It’s a moment of peace and calm, to re-center your body and reflect on what you’ve just accomplished. Lie on your back with your palms facing up and let all tension leave your body. Even holding this pose for a couple of minutes can make a big difference in my mindset; when my daughter was tiny I would place her beside me on the mat and just lie there. Nowadays, she’s usually on to the next thing, but I keep trying. One time we both fell asleep for a while, and that was pretty much the biggest win of my yogic journey thus far.